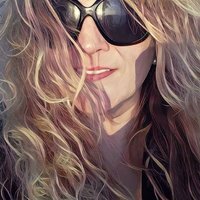 Please help me welcome author Michelle Jester to PNR & More today for an INTERVIEW AND GIVEAWAY! Read on below for our interview, and to learn more about her novel The Funeral Flower. I am a hopeless romantic (I always say this is the most important thing to know about me: LOVE COMES FIRST). It helps that I am married to my high school sweetheart! When people talk about how silly it is to be connected to someone at first sight, I laugh because that was us. The moment we saw each other, whether it was lust or whatever, we were drawn to one another so strongly that we couldn’t ignore it. I have two adult children, four dogs, a “pet” wild squirrel and his sibling that live in our backyard, and a wonderful group of family and friends. I try to fall in love with as much of this life as I can. I believe everyone has been through horrible experiences and each one of us has a story to tell. If we share with one another, none of us will ever feel quite as alone. Writing is not only enjoyable to me it is also unavoidable, as is photography. I’m so excited to be on this journey and thankful to each of you for sharing it with me! I am in public relations, media and marketing as well as a photographer, graphic designer and volunteer. I read all the time! I actually start with writing the basic story in three to four pages, extremely generalized. Then, I fill in the outline as I write the book. I don’t want to become constricted on certain things and although most of it is already in my head, I like the details and elements to evolve naturally. Write your own way. Remember that everyone has different writing styles, just like we all have different fashion styles. We may be influenced by designers or other people who wear clothing we like, but we don’t mirror them fully. 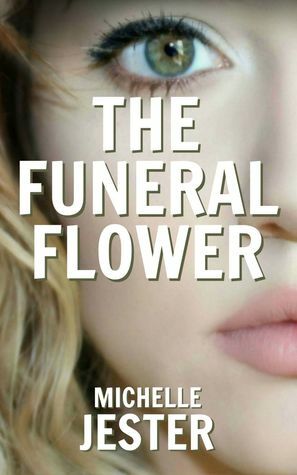 I’ve received a bit of negative feedback on the way I started The Funeral Flower, but once readers made it past Kelly’s childhood they embrace the style for the very reason I wrote it that way. Keep in mind, we each have our own place in this world, not just in writing but in the world overall. BE YOURSELF and let your work reflect that. I realized at an early age writing was the best creative outlet for me and have written poems and stories ever since I can remember. One day my daughter, when she was around 13, had gone into the study to look for a new book to read. I found her later reading one of my manuscripts and crying. Immediately she asked why I had never published it. The truth was I love to write down all the stories in my head and it just never got that far. She asked me to please just submit to a few publishers, if nothing comes of it, then I haven’t lost anything. Once I received the interest from a few agents I really started feeling the desire grow. The Funeral Flower is about growing through the good and bad into the person you are meant to be. It’s about using all of it to help others around you. It’s about understanding loss and the way you deal with loss and how other people around you deal with it as well. I’ve had several reviewers make the comment that it is preachy and I get that, even expected it, but if you’ll look at it through Kelly’s (MC) eyes and not your own, I think you’ll see it the way I wrote it. Keep in mind, I wrote The Funeral Flower just for me, never intending to ever publish it and I certainly wasn’t preaching to myself. So, when you read…read it through Kelly’s eyes. I am in the process of finishing Love, Cutter (sneak peek at the end of The Funeral Flower). Originally it was projected to come out summer of 2018; however it is going so smoothly that I will be releasing it early. Not sure the exact date yet, but definitely late 2017 or early 2018. While my novels are all fiction, I, like most authors, draw from real life experiences in order to relate and write. The characters are fictional; however they are strongly influenced by real people and experiences in my life. All of my writing is influenced that way. The sister, the sweet backyard neighbor lady, the boy between the fence, the bullies, and yes, the friendships and love are all heavily influence by real people. Also, many of the poems I included in the book were written when I was a child, teenager and young adult. If you are self-published, why did you decide to take this route of publishing? I believe this is one of the most basic truths about people. No one is entitled to explanations about how you live your life or make the decisions you do, unless it directly has a consequence for them, such as a spouse or parent. Others will earn that place in your life through trust, but no one is entitled to it. Hardback/Paperback or eReader? Both, even though I read more books on my phones, I often buy the paperback or hardcopy as well.